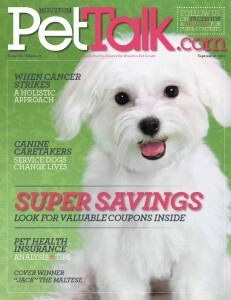 Be sure to pick up a copy of our September issue of PetTalk…it’s full of money saving coupons to local pet businesses! Save $ on training, daycare, boarding, grooming, veterinary services, re-“tail” items and much more! Having trouble finding a copy? 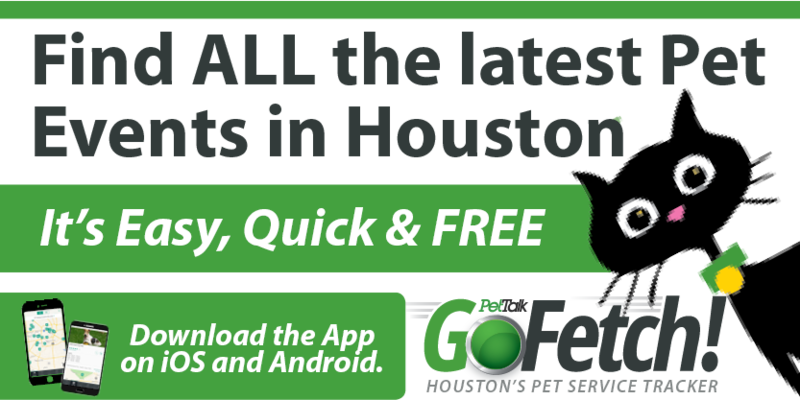 Email us your general area of town at info@houstonpettalk.com and ask for locations nearest you! Read the September 2011 issue here. i was reading the September issue & this is the first digital issue I have read. I find it difficult to flip through the pages, & I only got to page 17 and when I went to reload the magazine it would not do so. What is the problem? If I am passing through area 77082 where can I find a hard copy in my zip code rather that sitting in front of a computer monitor for so long? Hi Joanne, Yes, the digital issues can be slow if your internet connection is not super high speed..they are very large files! We don’t actually have delivery in your area code but I think Katy may be the closest area. Here are a few choices for you! We are pleased to see our “Dog Sculpture in artsy Berkshires, MA” make the pages of this magazine. (Page 40, Sept issue) Many of our artists are drawn to rendering their pets. This sculpture was made by artist Babette Bloch who works in laser cut stainless steel. She makes a table top version as well. Please contact The Wit Gallery for more information 413-637-8808 or info@thewitgallery.com.